Each Wednesday morning, a group meets to study the Bible together in the Parish Hall. Join us at 9 a.m. in the Parish Hall as we focus on a particular book of the Bible, and reflect on what the scriptures have to say about our lives. If you have any questions, or would like to make sure you know what the reading for an upcoming week is, please contact The Rev. Dr. Bill Hardwick. You can call the parish office to get a message to Fr. Bill, or contact him directly by email. 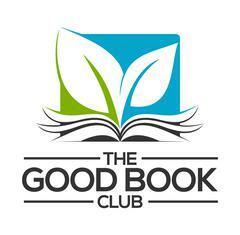 The Good Book Club is an invitation to the Episcopal Church to read a book of the Bible together as a worldwide community at the same time. 2019's selection for the Good Book Club is Paul's Letter to the Romans, and will run from Jaunary 7 to March 5, 2019. St. John's will be participating in the Good Book Club by emailing out the text for each day's readings, so you don't even have to keep track of the schedule. Just sign up below, and you'll be added to our email list. We won't ever give your address to anyone else, and this list will only be used for our daily readings.